Policymakers must focus on getting disadvantaged pupils’ performance above the average in order to improve social mobility, suggests a new study published by the Institute of Education (IOE), University of London. It is well known that a good education can improve a person’s chances in the labour market. However, in an increasingly competitive environment, those candidates with above-average grades and qualifications are most likely to land the top jobs. 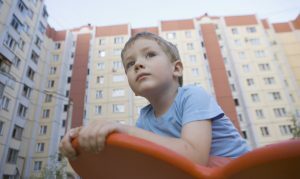 Researchers from the IOE and University of Surrey analysed information on the educational attainment of English children born between 1958 and 2000. They found that while disadvantaged pupils today are more likely to reach the expected levels than in the 1960s, their likelihood of being among the high achievers has remained consistently low for the past 50 years. Encouragingly, educational opportunities for all children grew dramatically in the second half of the 20th century. Less than 14 per cent of pupils born in 1958 obtained the equivalent of at least one A-level, compared to nearly 50 per cent of those born in 1990. The proportion of children who go on to university has risen from just ten per cent of those born in 1958, to 34 per cent of those born in 1991. The gap between the most and least advantaged pupils who achieve these standard levels of education has also narrowed over time. This is largely due to the attainment of the most deprived children improving at a faster rate than for those from the most affluent families. However, deprived pupils are no closer to achieving the qualifications that will secure them a strong competitive advantage in today’s labour market. Researchers found that the least deprived children remain twice as likely as the most deprived to achieve A*-B in three or more A-level subjects that appeal to universities, such as English, maths and sciences. The most disadvantaged pupils continue to be ten times less likely to attend elite universities, and roughly four times less likely to gain a post-graduate degree by their mid-30s.